What you can expect from Foundry Solutions Metallurgical Services ( SF ) in 2016 ? Wherever you live on beautiful planet Earth, welcome into the year 2016 ! How was 2015 on your side ? In this article, you’ll better understand where we’ve been at Foundry Solutions Metallurgical Services (SF) and where we’re going for the New Year. But first, thank you. Thank you for trusting us. Really, as metallurgists as well as entrepreneurs, it’s the best satisfaction for us to bring more value to your business and so, contribute to your success . We have the chance to meet so many quality people throughout the industry, it’s awesome. Thanks to your trust, we’re living our dream. Ok enough of these nice and warm emotions. Let’s look at what changed at SF between 2013-2015 and now. What to expect in 2016 ? We’re very excited to launch phase 1 of our casting defect mobile app this month. We can’t wait to be the first to use it here with some of our clients in Québec. We’ve worked hard to make this happen. The idea came in line with our paper on casting defect analysis presented at the AFS last october. 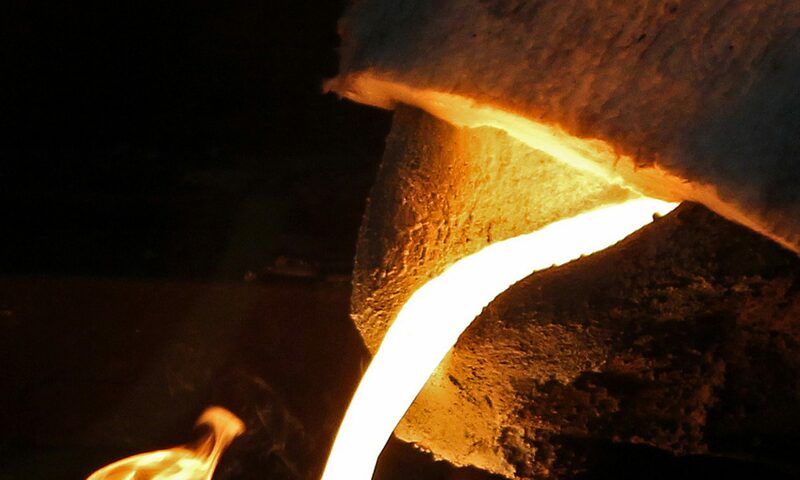 The goal is to make it easier for the quality department at your foundry to collect and use casting defect data in order to implant efficient solutions to eradicate a given defect. We’re installing our first MeltLab equipment at a leading iron foundry this month. For 2016, we’ll continue to develop our thermal analysis expertise with the best supplier and best expert of the industry : David Sparkman’s MeltLab. This equipment really brings a good return on investment for aluminum and iron foundries, as well as university researchers. Have you booked your free demo ? We’ll be at some foundries this month in Québec with Mr. Sparkman. We’re in the process to become the Canadian distributor of Versatile sand testing equipments, starting next February. Their equipments are reliable and competitively priced. This is a very promising development for services to Canadian foundries. SF discussions with A3f /CTIF, the leading and most advanced foundry expertise and formation supplier in Europe will most likely conclude with a great business collaboration in 2016. We are currently investigating the demand from foundries in Québec. In a nutshell, SF would become metallurgists on the field for CTIF/A3f . We would also market their services to foundries, providing an additional option for process improvement. Guess what ? We have even more business development going on which we’ll reveal to you soon. It’s awesome. 2016 is the year of the monkey according to Chinese zodiac; we believe it’s the year SF , so many thanks to our clients and business partners. In our next article, you’ll have details on the launch of the SF casting defect app for your mobile phone. Previous PostPrevious What is recalescence and why you should care ?